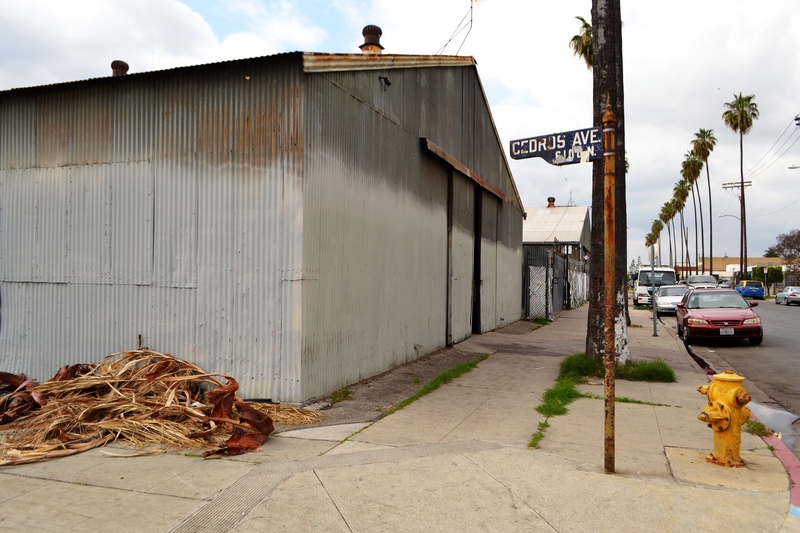 A corrugated metal building with pitched roof, concrete floor and whirlybird ventilation, one of three structures in a row, stands at the corner of Cedros and Calvert. The neighborhood is a mix of immigrants living in old houses and apartments, as well as light industrial companies: air conditioning, auto repair and body shops, marble and stone wholesalers, pest control and towing companies. There are many children nearby mixing moms with guns and gangs, the toxic air of auto paint, the rumbling beats of mariachi, the sounds of shopping carts and glass making their way to the recycler, dogs barking behind iron fences in concrete-paved front yards. But a few doors down, at 14741 Calvert, later this year, MacLeod’s Ale Brewing Company will open and serve home brews in the British style, an exotic addition to a neighborhood where gasoline and tequila are the liquids of choice. My childhood home was not far from here(14607 Calvert St)and though it was definitely working class back then too, it was NOT a ghetto mess like it is today. It makes me happy that a business is going to open in the neighborhood that will hopefully be the first step in revitalizing this part of town. Will have to visit there next time my husband and I pay a visit to Van Nuys!! Stop by and say hello Alma. ← Presentando El Palacio Kester.